Welcome to my Friday bonus feature called Karen’s Killer Fixin’s **Author Special**!! Today, in lieu of one of my own recipes, I’m going to introduce you to a new author who will share one of her favorite recipes. Not only will you and I occasionally learn how to make something new and delicious, but we’ll get a chance to check out some wonderful authors. Introducing author, LYZ KELLEY, and her favorite recipe for “JUST ENOUGH” BROWNIES!! Can She Rebuild Her Life? Starting over is never easy, but in Elkridge, Colorado, where newcomers are welcome and friends become family, it’s possible to find yourself again. Leza promised to return to Elkridge after she finished her FBI undercover assignment. Only the local sheriff didn’t keep his promise to be there when she returned. Now she’s searching for a way to rebuild her life. Heath applied for the deputy position because he wanted to raise his newly-adopted niece in a small town. He’s not interested in more complications—until he meets the town’s newest resident. Heartbroken, Leza is unable to risk having her hopes shattered again. He’s sworn to protect and serve, but Leza doesn’t want that either. Can Heath’s single-dad charm and captivating openness heal Leza’s heart? Join Lyz Kelley on this moving and rewarding journey with a wounded woman who finds hope and healing. When I wrote the Elkridge prequel, Regrets, as a newsletter exclusive, I knew the book would end with Leza receiving a happy for now, because she would be unaware of Sam subsequent death. Yet I desperately wanted the everyday hero to feel love and be loved upon her return. Thus Bittersweet’s story was framed in my mind many months ago, to become live on the pages weeks later. The opening scene at the cemetery, I’ve experienced. When I was in high school, I lost my first love to a grand mal seizure. He promised me we would be together forever. Neither of us expected he would die so early. At seventeen, I thought my world had ended. I convinced myself I would never find someone as funny and kind and hunky. To quote the cliché, he was my everything. I was almost thirty when I met my husband, and finally realized all those years I’d been wrong. So this book is written for all those who have taken the chance to find love again. For those still searching, keep holding on, there is someone out there waiting for you. If you are interested in getting a copy of Regrets, sign up for my newsletter by visiting LyzKelley.net The first email you receive will be a download link to the book. When I was eight, I began writing a story, first in my head, and later in my diary. The world I dreamed about was big and complex—filled with interesting creatures. When I turned 40, I tried to translate the story I’d lived with all those years to the page…and couldn’t. So I sought help. Romance Writers of America was the only group that said, “Come on in. We’ll help.” So, I started exploring the craft of writing. One day, when I’ve learned enough to write such a complicated story, I will write about the world that exists in my head. Why do you write about everyday heroes? Award-winning author Lyz Kelley resides in a small community in Colorado with her husband and several four-legged family members. 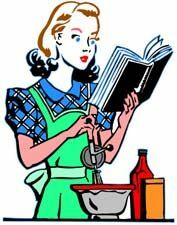 She’s is a disaster in the kitchen, a compulsive neat freak, a tea snob, and adores writing about and falling in love with everyday heroes. A healing love is at the heart of her book series. Creating wounded yet amazing characters—discovering what drives them, frightens them, heals them, makes them laugh—is what gives her joy. Lyz is pleased to share that joy with her masterfully written stories. To keep tabs on her newest releases, connect with Lyz by signing up for her newsletter at LyzKelley.com. Members receive an exclusive copy of Unmistaken and learn about thoughtful giveaways, Members may even get the opportunity to receive advanced reader copies. Check out LyzKelley.com for more information. I hope you enjoy the recipe Lyz is sharing today on Karen’s Killer Fixin’s. Happy Eating! P.S. We’re at 387 recipes and counting with this posting. Hope you find some recipes you like. If this is your first visit, please check out past blogs for more Killer Fixin’s. In the right hand column menu, you can even look up past recipes by type. i.e. Desserts, Breads, Beef, Chicken, Soups, Author Specials, etc. Having a bad day and need a chocolate fix? You can make “just enough” brownies to conquer your problems. Melt chocolate and butter in pan. Stir in sugar til blended. Stir in remaining ingredients. Heat over 325 degrees. Butter small pan. Bake 25-30 minutes. Let cool if you can. To have lost one’s first love to a gran mal seizure at such a tender age would be devastating. I’m pleased for you to have subsequently rebuilt your life so well. This recipe sounds fabulous! Rich!! To be honest, I was devastated. I threw myself into college, work, professional certifications, anything to ignore the pain. Of course, I didn’t realize that’s what I was doing at the time. Thankfully my husband crashed into my life and gave me a wake-up call. I need to try this brownie recipe… thanks for sharing it and about your book! Hi Colleen…yes, you should try the recipe. It’s delicious. Hint: I sometimes cook these a few minutes less, and then put them over vanilla ice cream. Good morning, Lyz, and welcome back to Karen’s Killer Book Bench. Love the concept for this book and the recipe sounds yummy. I have to have both! Thanks for sharing your newest release with us! Thanks for allowing me to hang out with you and your smart, savvy reader ladies. I always enjoy my time here. I’ll be stopping back in a bit later to see if I can answer any questions. Sounds you have had an eventful life so far. It must have been so tough losing your boyfriend to a seizure. I used to work with individuals with disabilities, including those with seizure disorders. I appreciate that you’re more interested in the character of your characters. Your brownie recipe looks easy and tasty. I saved it to try later. I have enjoyed your books. Love that you shared some personal pieces. Glad your husband crashed into your life. And glad you are writing and sharing stories. If I could eat the brownies, I would. Love the simplicity of your Brownie recipe. Your books sounds interesting too. Thank you so much for joining us and sharing your book with us Lyz. Liz, I’m so sorry you lost your first love at such a young age. I’m happy you found yourself someone else to love that is also a wonderful man. I loved what I read in the blurb for Bittersweet! Sounds like it’s a fantastic book. Being diabetic, I don’t dare make the brownies, as Im the only one here to eat them. It’s sooooo tempting as I’m a chocoholic and I love brownies!